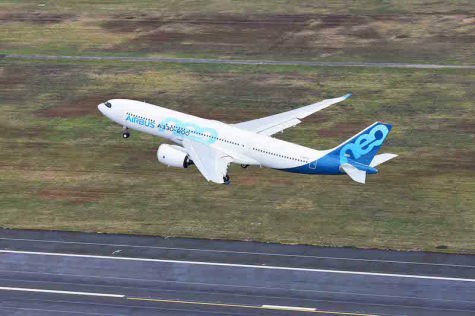 TOULOUSE, France --- The first A330-800 took off this morning at Blagnac in Toulouse, France at 10:31am local time, for its maiden flight taking place over south-western France. The aircraft, MSN1888, will perform the dedicated flight-physics tests required for this variant. The crew in the cockpit comprise: Experimental Test Pilots Malcolm RIDLEY and François BARRE and Test-Flight Engineer Ludovic GIRARD. Meanwhile, monitoring the aircraft systems and performance in real-time at the flight-test-engineer’s (FTE) station are Catherine SCHNEIDER and Jose CORUGEDO BERMEJO. The A330-800’s certification development programme itself will last around 300 flight-test hours, paving the way for certification in 2019. 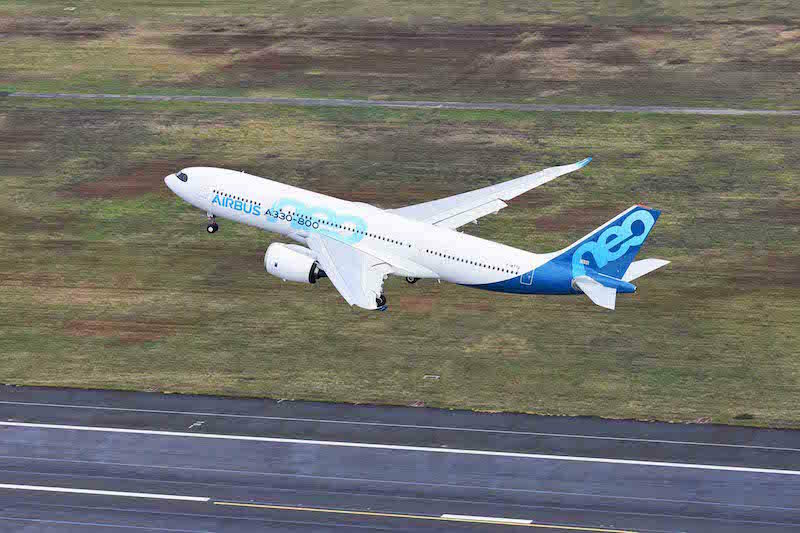 Its sibling, the larger A330-900 family member, recently completed its development testing and certification programme which validated the A330neo Family’s common engines, systems, cabin and flight & ground operations.